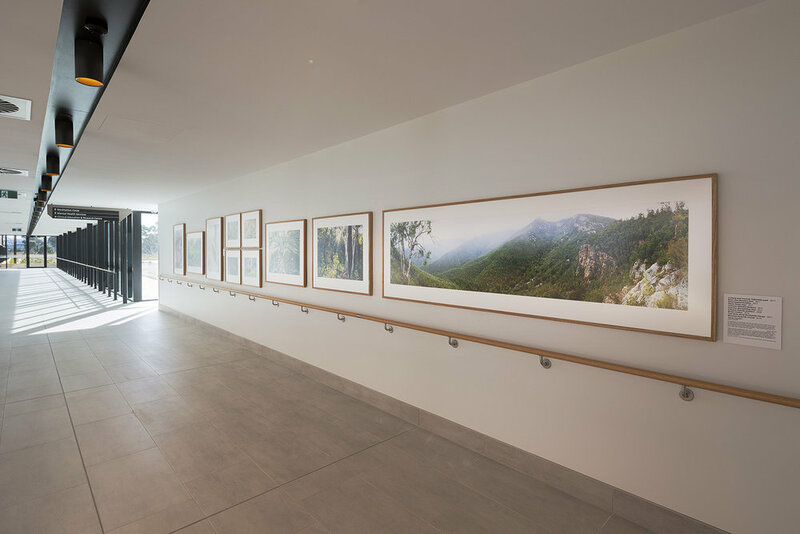 About a year ago I was approached by Dr Jennifer McFarlane, the curator of the Arts in Health program from the ACT Government, who was putting together some artwork for the new University of Canberra Hospital which was then under construction. She was particularly interested in images which would connect people with the local wildlife and bush landscape. One thing led to another and I was asked to pull together a suite of photos which would recreate the feeling of going for a bush walk in the Brindabellas.